The Duke of Gloucester’s Cup was instituted in 1946 when His Royal Highness the Duke of Gloucester presented a silver cup to the Royal Australian Navy as a prize for the ship which shot down the greatest number of sleeve targets, in proportion to the number of rounds fired, during a calendar year. Such a competition proved to be impracticable and consequently the cup has traditionally been awarded as a prize for the RAN unit displaying the highest level of overall proficiency. The first RAN major fleet unit to be awarded the prize was HMAS Hobart (I) in 1947. 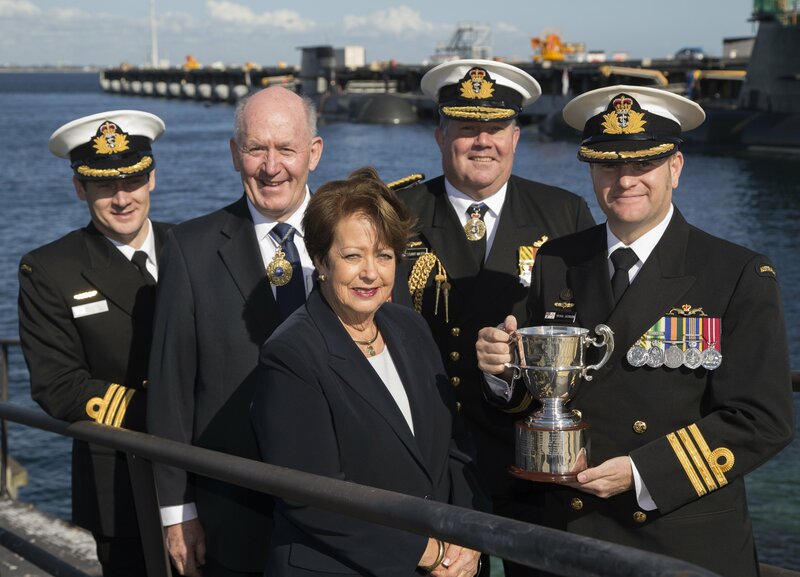 The first submarine to win the coveted award was HMAS Onslow in 1977 while in 2011, RAN Clearance Diving Team Four wrested the cup from the fleet to become the first Clearance Diving Team to be awarded the prestigious award. Several RAN units have won the cup multiple times, notably HMAS Hobart (II) which took the prize on eight separate occasions during her long commission. Others have won the award in successive years - HMA Ships Quadrant, Vampire (II), Sydney (III), Hobart (II) and Darwin. On those occasions when a fleet unit wins the award a five pointed gold star is painted in a prominent position on the vessel concerned in recognition of the achievement. The star is removed only when the award is won by another RAN unit. 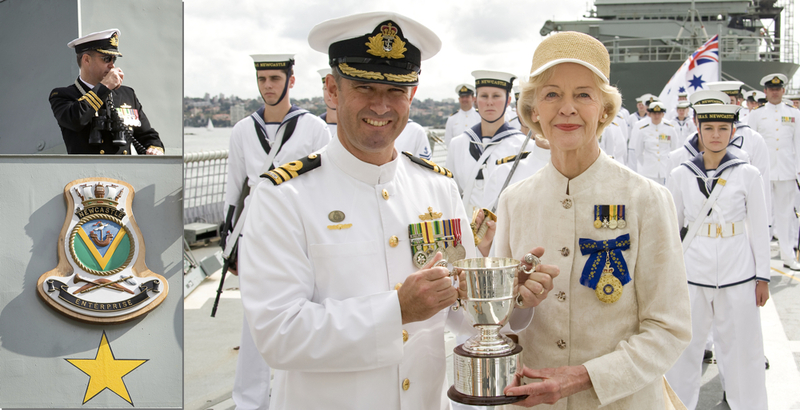 Governor-General of the Commonwealth of Australia, Her Excellency Ms Quentin Bryce, AC, presents the Duke of Gloucester's Cup to the Commanding Officer HMAS Newcastle, Commander Justin Jones, RAN. 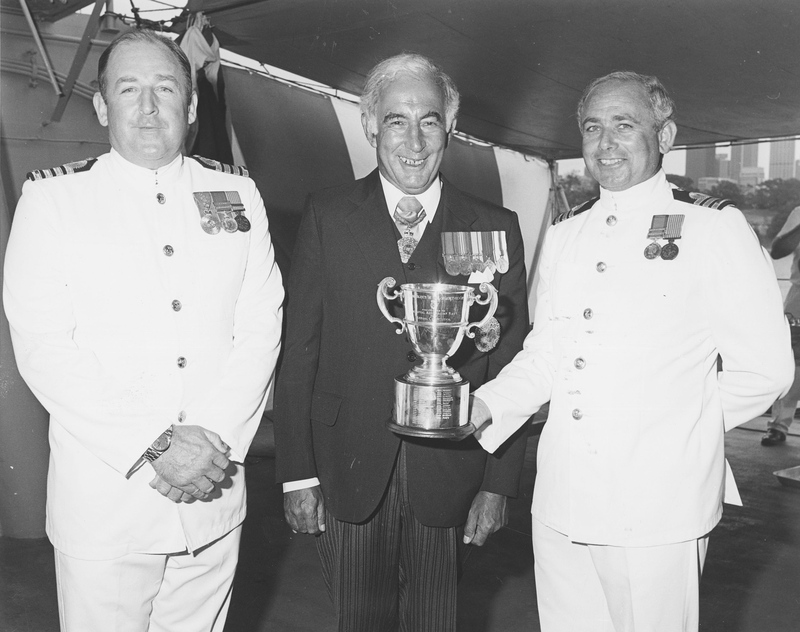 Left: Captain Adrian Cummins and Commander Don Chalmers, HMAS Perth (II) are presented with the Duke of Gloucester's Cup by the then Governor-General Sir Zelman Cowen AK, GCMG, GCVO, PC, QC in recognition of Perth's achievements in 1981. 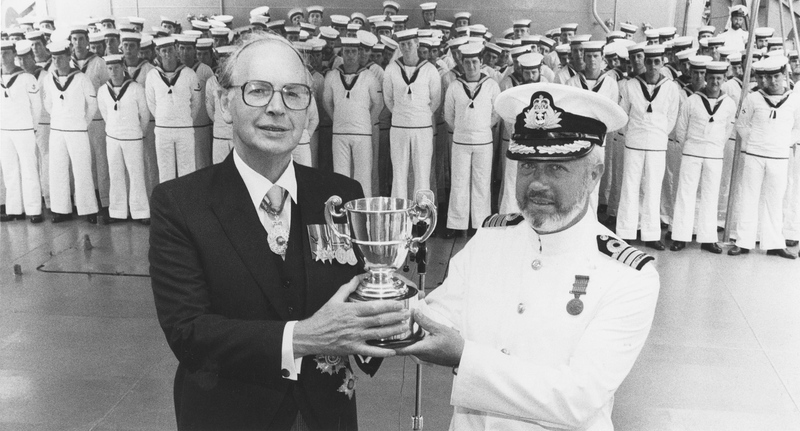 The Governor-General of Australia Sir Ninian Stephen presents Captain MS Unwin, RAN with the Duke of Gloucester's Cup onboard HMAS Stalwart in 1983. 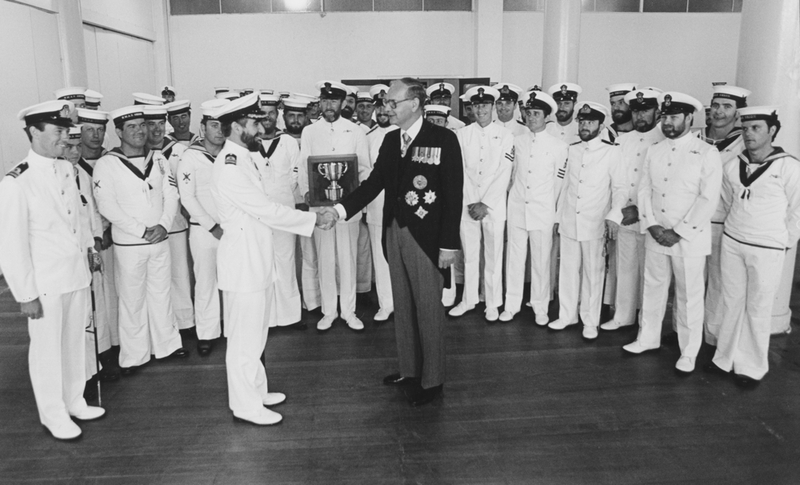 The Governor-General of Australia Sir Ninian Stephen presents the ship’s company of HMAS Orion with the Duke of Gloucester's Cup in 1985. 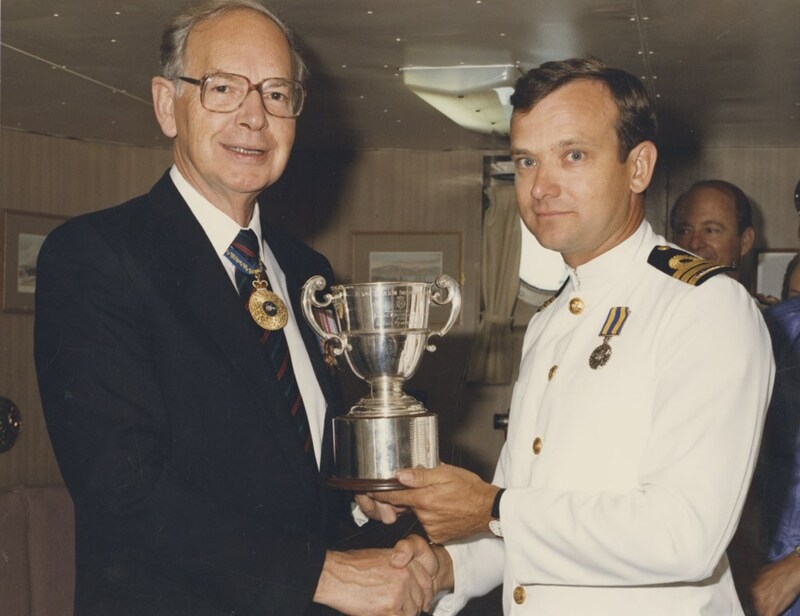 The Governor-General of Australia Sir Ninian Stephen presents CMDR GA Wellham, RAN with the Duke of Gloucester's Cup onboard HMAS Hobart (II) in 1988. 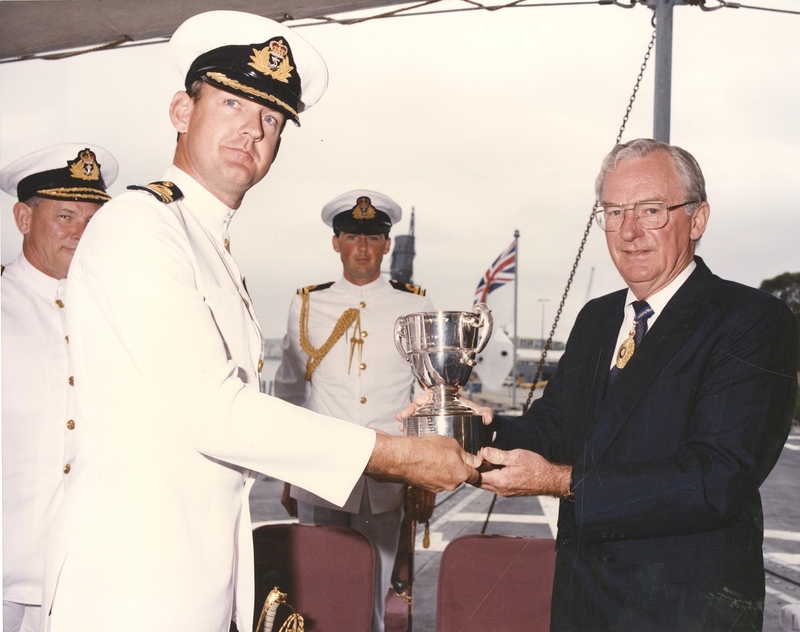 Commander M Bell, RAN, accepts the award of the Duke of Gloucester's Cup from the then Governor-General, the Honourable Bill Hayden, on behalf of HMAS Darwin's ship's company in 1991. 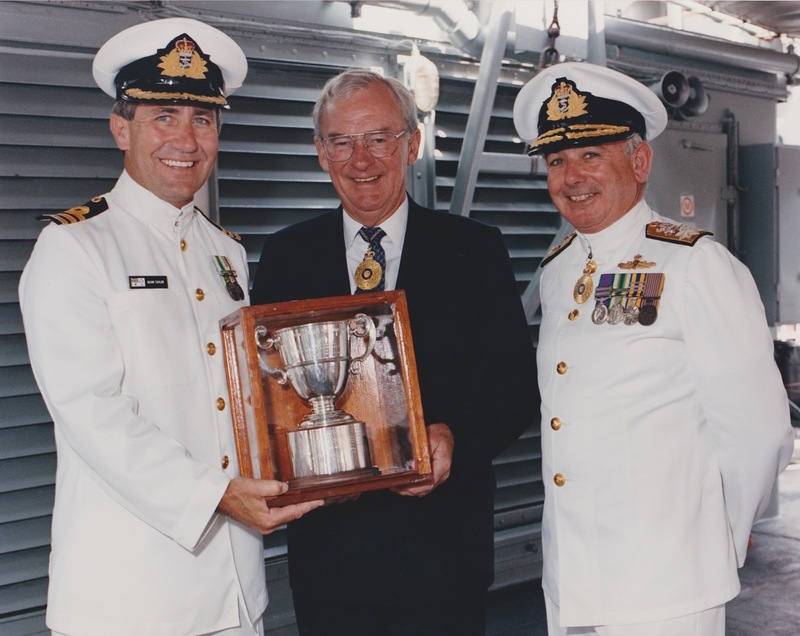 Commander KB Taylor, CSC, RAN accepts the Duke of Gloucester's Cup on behalf of HMAS Tobruk's ship's company in 1993. Rear Admiral D Chalmers, AO, RAN looks on. The Governor of New South Wales, Her Excellency Professor Marie Bashir AC, CVO, presents the 2006 Duke of Gloucester's Cup to the commanding officer of HMAS Stuart, Commander Jason Hunter RAN. 2006. 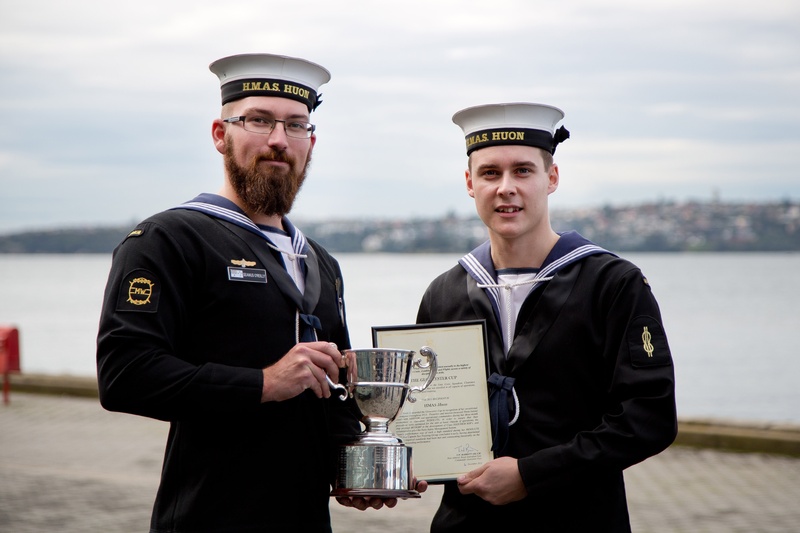 Able Seaman Seamus O'Reilly (left) and Able Seaman Cameron Johnson from HMAS Huon stand proudly with the Duke of Gloucester's Cup after it had been presented to HMAS Huon by His Excellency General The Honourable Sir Peter Cosgrove AK, MC (Retd), Governor-General of the Commonwealth of Australia, 2013. The Governor-General of the Commonwealth of Australia, His Excellency General the Honourable Sir Peter Cosgrove AK MC (Retd), presents the Commanding Officer HMAS Rankin, Commander Michael Jacobson, CSM, RAN, with the Duke of Gloucester's Cup at HMAS Stirling, Western Australia. 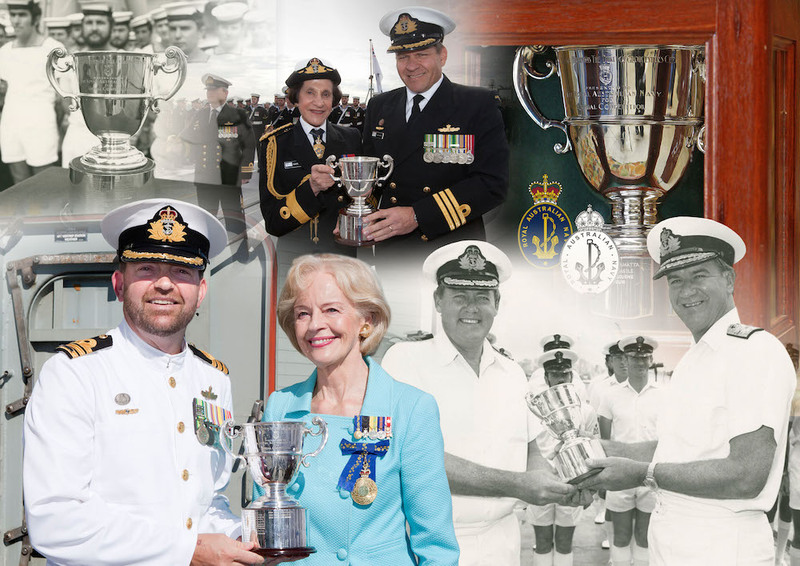 Left: Commanding Officer HS Blue Crew, Lieutenant Commander Dean Battilana accepts the Duke of Gloucester Cup from His Royal Highness, The Prince of Wales at a ceremony onboard HMAS Leeuwin. Right: The Duke of Gloucester's Cup, which was awarded to HS Blue Crew for 2017. 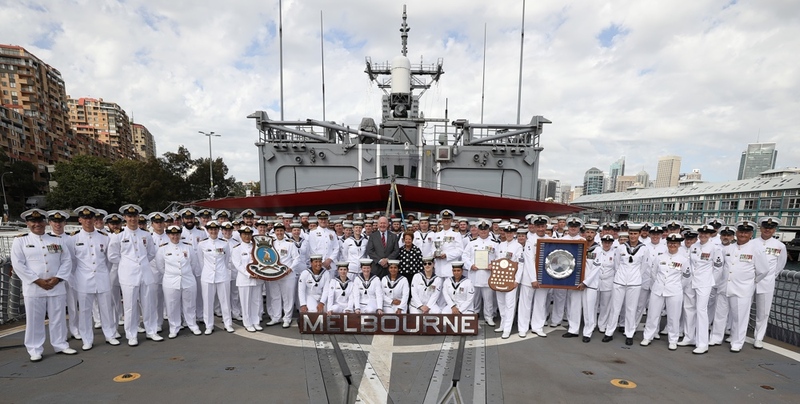 The Governor-General of the Commonwealth of Australia, His Excellency General the Honourable Sir Peter Cosgrove AK MC (Retd) and Lady Cosgrove with the crew of HMAS Melbourne during the presentation of the Gloucester Cup for 2018 at Garden Island, Sydney.